Trump falsely claimed that the U.S. has “thousands of judges — border judges — thousands and thousands.” Actually, the U.S. has about 350 immigration judges. Trump claimed — without any evidence — that only 3 percent of those who were released after being caught crossing the border illegally show up in court for their immigration hearings. DHS Secretary Kirstjen Nielsen accurately stated there had been a “314 percent increase” in adults trafficking or smuggling children to the border. But the actual number of suspected fraud cases is less than 1 percent of all family apprehensions. 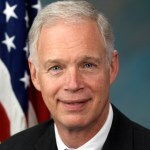 Sen. Ron Johnson said the 2012 Deferred Action for Childhood Arrivals program was an “incentive” for unaccompanied children to try to cross the border illegally. But no one arriving after June 15, 2007, would be eligible for DACA. In adopting a “zero tolerance policy” for those crossing the U.S.-Mexico border illegally, Trump is choosing to detain and criminally prosecute border crossers, rather than releasing them pending an immigration hearing — as the Obama administration did and his own administration had been doing. He told the National Federation of Independent Businesses that only “like 3 percent” of people released pending their immigration hearings show up in court. Some Republican senators — led by Sen. Lindsey Graham of South Carolina — have proposed legislation to increase the number of immigration judges in an attempt to alleviate the backlog and expedite the immigration hearings. But the president has rejected that idea, too. “We don’t want judges,” he told the business group. Trump, June 19: We don’t want judges; we want security on the border. We don’t want people coming in. We want them to come in through a legal process like everybody else that’s waiting to come into our country. Do you know, if a person comes in and puts one foot on our ground, it’s essentially “welcome to America, welcome to our country.” You never get them out, because they take their name, they bring the name down, they file it, then they let the person go; they say show back up to court in one year from now. One year. But here’s the thing: That in itself is ridiculous. Like 3 percent come back. The U.S. has “approximately 350 immigration judges,” according to the Department of Justice. Trump’s other claim — “when we release the people they never come back to the judge” — is also false. Trump said only “like 3 percent” show up for court, but we could find no evidence that the percentage is that low. Neither the White House nor the Department of Justice responded to our request for the supporting data. The Justice Department’s FY2016 Statistics Yearbook reports that 25 percent of immigration cases were decided “in absentia” — meaning “when an alien fails to appear.” (See figure 23.) The report does not differentiate between those captured at the border for illegal crossing and those arrested in the interior of the country for other offenses. We asked the Department of Justice for clarification and the most recent data. We did not get a response, but we will update this article if we do. Department of Homeland Security Secretary Kirstjen Nielsen claimed that in the past five months, there had been a “314 percent increase” in adults trafficking children to the border, “fraudulently claiming to be a family unit.” That sounds like a big increase, but not when such cases are placed in context. The raw numbers behind the increase — which the Washington Post reported and DHS confirmed to us — are 46 suspected fraudulent cases in fiscal year 2017 and 191 suspected cases for the first five months of fiscal year 2018 — that’s October 2017 through February 2018. That’s a 315 percent increase. Those figures are a tiny fraction of the total number of family apprehensions at the border. There were 75,622 family unit apprehensions in fiscal year 2017 at the Southwest border, so the 46 suspected cases of fraud were just 0.06 percent of all family apprehensions. For the first five months of fiscal year 2018, there were 31,102 family unit apprehensions. The 191 suspected fraud cases would be 0.61 percent of that. The Post attempted to show how small of a percentage that is in a bar chart. It’s a nearly imperceptible sliver. We don’t know if it’s “the worst it’s ever been,” because we don’t have statistics for previous years. DHS has not provided any numbers on suspected child smuggling or fraud cases beyond the current and previous fiscal year. We will update this article if we are able to obtain such numbers. Republican Sen. Ron Johnson of Wisconsin blamed the Obama-era Deferred Action for Childhood Arrivals program for hundreds of thousands of families and unaccompanied minors from Central America coming to the U.S. illegally since 2012. Johnson, June 20: But here’s what’s happened since 2012, since DACA. Just to talk about unaccompanied children: Prior to that, somewhere between 3,000 or 4,000 unaccompanied children from Central America came into this country. Then DACA was instituted in 2012, and that problem skyrocketed. The numbers on it — about 225,000 unaccompanied children, just from Central America; about almost half a million family members. So we’ve got another 750,000 individuals — very sympathetic — that we’re just incentivizing for coming. And we have to stop those incentives. Johnson’s office told us that he was relying on Department of Homeland Security figures for apprehensions of unaccompanied minors and families who came from the “Northern Triangle” of Central America, which includes El Salvador, Guatemala and Honduras. The data provided — which we weren’t able to find online — show that from July 2012, when DACA went into effect, to May 2018, there were 303,722 apprehensions of family units and 207,187 apprehensions of UACs from that region. But none of those children would be eligible for DACA. The program was open to those who could prove they had been living in the U.S. continuously since June 15, 2007. Applicants had to be at least 15 years old but no more than 31 years old as of June 15, 2012. Eligibility also required proving they were not yet 16 when they arrived in the U.S.
Johnson’s office told us that the senator recognizes that DACA doesn’t apply to those who came to the U.S. after the program started, but he believes “coyotes” used that information to convince people to pay them to be smuggled into the country. “It is not known if, and how, specific immigration policies may have influenced decisions to try to enter the United States unlawfully,” the CRS report said. The Government Accountability Office issued a 2015 report that said federal officials “most commonly identified crime and violence and economic concerns as causes primarily responsible for the recent rapid increase” in unaccompanied minors entering the U.S. illegally. GAO said it interviewed nine federal officials stationed in El Salvador, Guatemala and Honduras for the Department of State, Department of Homeland Security and USAID. 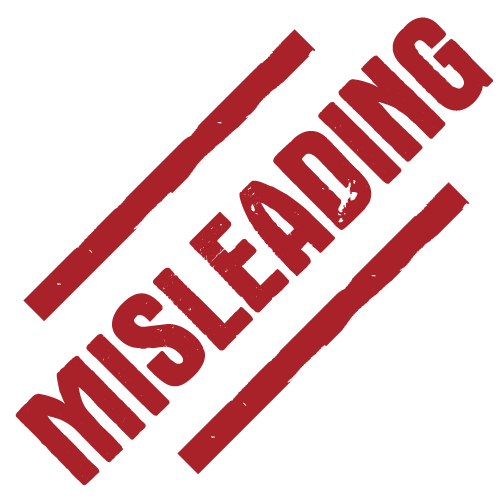 According to the report, five of those officials told GAO that misinformation about U.S. immigration policies spread by smugglers were “a primary cause.” For example, two officials stationed in Honduras said Hondurans believed that a failed congressional attempt to pass comprehensive immigration legislation would have provided a path to citizenship, and that they’d be reunited with family members and allowed to stay in the U.S. Claimed that only 3 percent of those who were released after being caught illegally crossing the border show up for their immigration hearings. Claimed the 2012 Deferred Action for Childhood Arrivals program was an “incentive” for unaccompanied children to try to cross the border illegally.